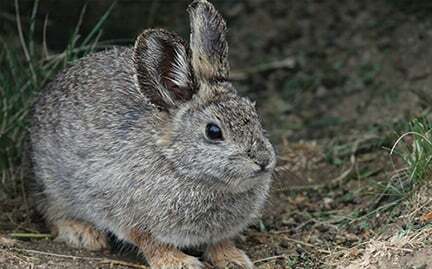 The pygmy rabbit’s dependence on big sagebrush makes it vulnerable to habitat loss. Females build birthing burrows apart from the rest of the burrow systems. These burrows have one entrance leading into a nesting area and are often located at the base of shrubs. Common predators include weasels, coyotes, badgers, bobcats, raptors, owls, crows, and foxes.